Yes, calcium is critical to bone health. 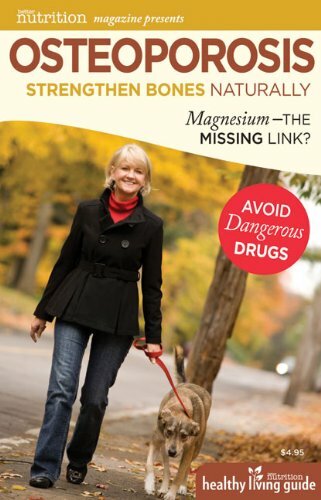 But has our fervor to boost bones with calcium caused us to miss the bigger picture? Respected health writer Karolyn A. Gazella explains that calcium is just one piece of the puzzle—often a small piece. "For decades, we've been overlooking other important nutrients such as magnesium, vitamin D, and vitamin K," explains Gazella. Research shows us that key nutrients can help many women avoid dangerous drugs. Women who have been diagnosed with osteoporosis, have low bone density (osteopenia), or are at high risk of developing this condition, can strengthen bones through this comprehensive plan that includes diet, dietary supplements, and exercise. Karolyn A. Gazella is the coauthor of the Definitive Guide to Cancer, Return to Beautiful Skin, and Boost Your Health With Bacteria. Karolyn has been involved in the natural health industry for more than 17 years. She is the publisher of the Natural Medicine Journal, a peer-reviewed e-journal for healthcare professionals, and she has written hundreds of articles on the topic of natural health. Karolyn is a regular contributor to Better Nutrition magazine and the managing editor of the Healthy Living Guide series.